Online Bid Rules Notice to Bidders: This is to inform the Bidders prior to the sale that all bidders must register with www.LockerFox.com and by doing so acknowledge these rules of the auction. 1. This agreement pertains to this and all future sales this Bidder attends. 2. Bidders must be at least 18 years old and have a valid photo I.D. 3. Seller reserves the right to limit registration for the auction, once registration is closed no further Bidders will be permitted on the property. 4. Previews for auctions will take place online at www.lockerfox.com. Parties who want to bid need to register for an account at www.lockerfox.com 5. This sale is being conducted pursuant to law of the State where the facility is located. 6. Seller does not accept any liability on the goods purchased at the time of the sale. Goods purchased are in an AS-IS condition. No guarantees or warranties of any type or kind are expressed or implied with the purchase of an items. ALL SALES ARE FINAL! 7. All auctions are WITH RESERVE and therefore all units may be withdrawn from sale at any time by the Auctioneer. 8. Seller reserves the right to cancel any sale if the bids are, in the discretion of Seller, unreasonable. Seller reserves the right to deem any bid unacceptable. 9. A sale is not deemed completed until all money due is paid by the high bidder at the auction and received by Seller and all property is removed from the unit by the high bidder or a lease is executed for the rental of the unit. A Bidders remedy for a cancelled sale is limited to the return of the money paid for the unit at auction. 10. The existing tenant has the right to cure the lien until the winning bidder pays cash for the unit at the facility, unless otherwise stated in the state lien law. 11. Bidder agrees that viewing a unit constitutes attending the sale. 12.  Each bid placed is a binding agreement to purchase the entire contents of this unit. 13. The Bidder must provide a $100 security deposit and must remove all goods within a forty-eight (48) hour period or the goods will become the property of Seller, unless, the Bidder signs a lease agreement for said unit, and pays the current months rent in full. 14. Failure to remove all goods or sign a lease will result in Bidder forfeiting the security deposit and incurring a disposal fee. If all of the items are removed and the unit is left clean, the deposit will be refunded at the time of the move out. 15. Bidder is responsible for securing the unit holding such property until the items are removed from the facility. 16. There is no onsite disposal (dumpster is for management use only), all contents of the unit must be removed by the winner and the unit swept clean. 17. A 10% Bidder premium will be charged at the time of auction close to the credit card on file at Lockerfox.com. 18. The amount of the winning bid must be paid in CASH at the facility, along with any tax or cleaning deposit due. Seller shall furnish the Bidder with a cash receipt upon payment of the unit contents. Unless a valid reseller certificate is provided, tax must also be paid on the amount of the bid. 19. Bidders shall not resell any goods on the facility premises to other bidders without the approval of the facility manager. 20. It is the Bidders responsibility to immediately return all personal property, papers, photos, legal documents, tax returns, bank statements, yearbooks, birth certificates, wedding licenses, etc. to Seller for return to tenant in the future. 21. The Bidder acknowledges that in certain circumstances Seller may contact the Bidder and request that certain items be purchased back in order to prevent any court action with said tenant, the Bidder also agrees to sell to Seller such items for (a) the cost at which Bidder purchased such items plus (b) any reasonable actual costs incurred by Bidder in connection with such items. 22. Bidders acknowledge that bid rigging and/or collusion is a felony and all suspected instances will be reported to law enforcement. 23 All bidders agree to hold harmless and indemnify Seller, auctioneer, and auction company any and all claims. 24. Photography and video recordings are not permitted on Sellers property without the written consent of Seller. 25. Employees and family members of employees are not permitted to participate in any Seller auctions as this creates an unnecessary conflict of interest. Seller reserves the right to refuse participation to any Bidder at future auctions (or suspend account login) due to failure to follow these rules or any other unacceptable behavior at the auction. *The camera zoom feature may be used when taking photos of units and items in units up for auction. iStorage does not enter the customer unit during the auction inventory process. Online Storage Auction at iStorage Mullica Hill located in Mullica Hill, NJ. Bidding takes place online at https://www.lockerfox.com/auctions/details/292446 Unit may contain 1 Desk,1 Chair,Sleds. AMERICA'S NEWEST AND BEST STORAGE AUCTIONS. Winning bidder must conduct actual purchase in person at the storage facility and remove all contents of the unit within 48 hours.